Bunny Runs with Scissors: Disneyland Here we Come! Disneyland ~ and CHA!!! Here we Come! Well I love to make altered journals! I stocked up when the back to school supplies were on sale! Well since CHA just happens to be in Anaheim, we will also be visiting Disneyland! So I couldn't resist making my altered journal using Totally Titles stamp set found HERE and HERE on the Spotlight page! 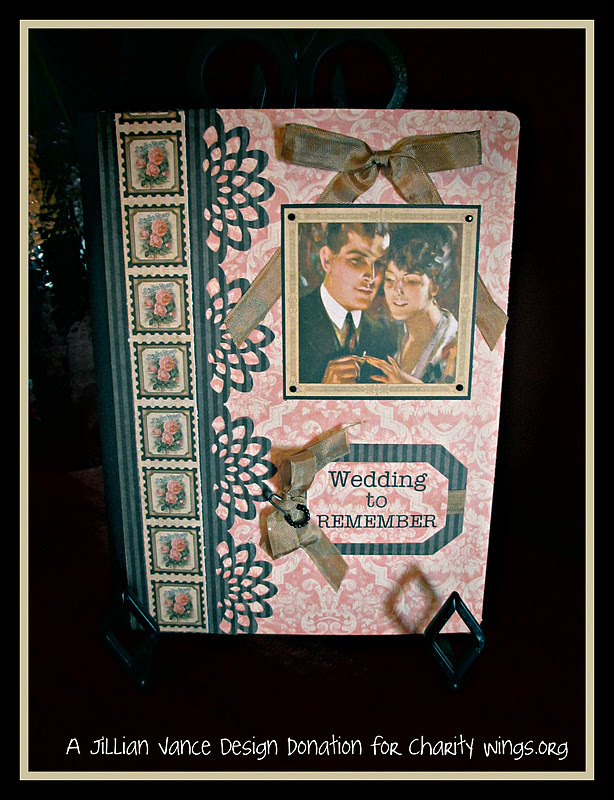 The Spotlight page features our Stamp set of the week at a special price! This week it is Totally Titles and on sale for only $12 bucks!!! The sale price disappears on Sunday the 15th and we start the next spotlighted item that we will feature on our blog on Monday the 16th of January for the special price! 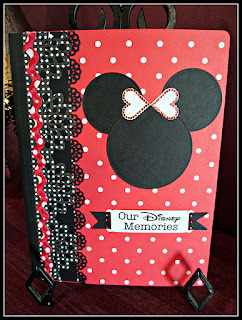 I took a regular composition notebook and covered Red polka dot paper from my stash! I use my ATG gun ~ which is giving me fits right now~ so that it STICKS great! I then took black card stock and my EK Success punch for the smaller flower border and black polka dot paper from my stash for the larger EK Success Flower border punch. 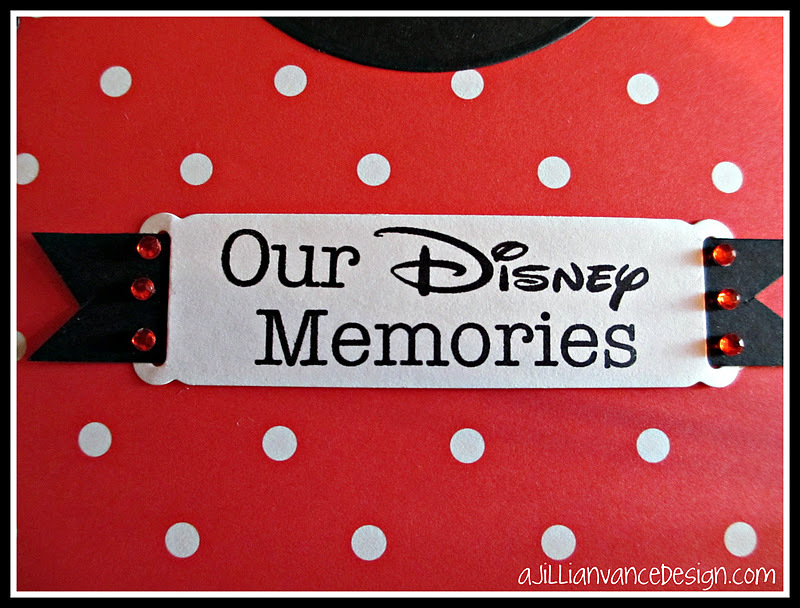 Then I found the red polka dot rick rack in my ribbon stash and glued it on with Glossy Accents. Then the fun part begins! What does it need . 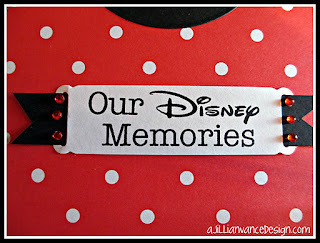 . .
Well I used the Standard Circles dies from Spellbinders™ to make the Mickey shape then I used the Ribbon tags for the Our Disney Memories which are separate stamp in the Totally Titles stamp set so you can mix and match them all! Well it was missing something so I looked at my Mickey head and decided it needed to be Minnie! Then I thought: How do I make a Bow . . . well two hearts together! That was cute then I looked at my Want 2 Scrap BLING and YES!!! 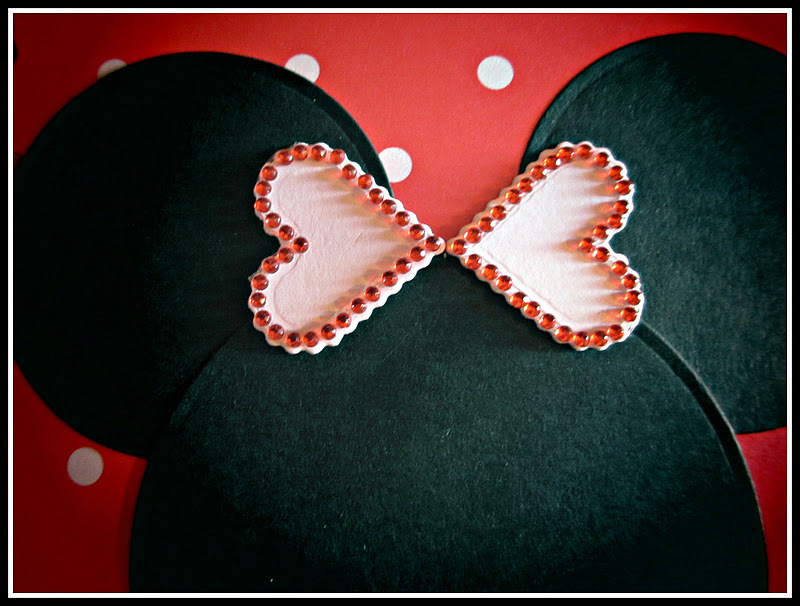 It fit on the already cut out Spellbinders Scalloped Hearts! I had ordered it before Christmas thinking I just might need it and it is the perfect touch! 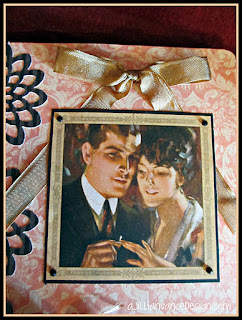 check out http://want2scrap.com/store/ they have awesome Bling at great prices! It is truly the best I have used. 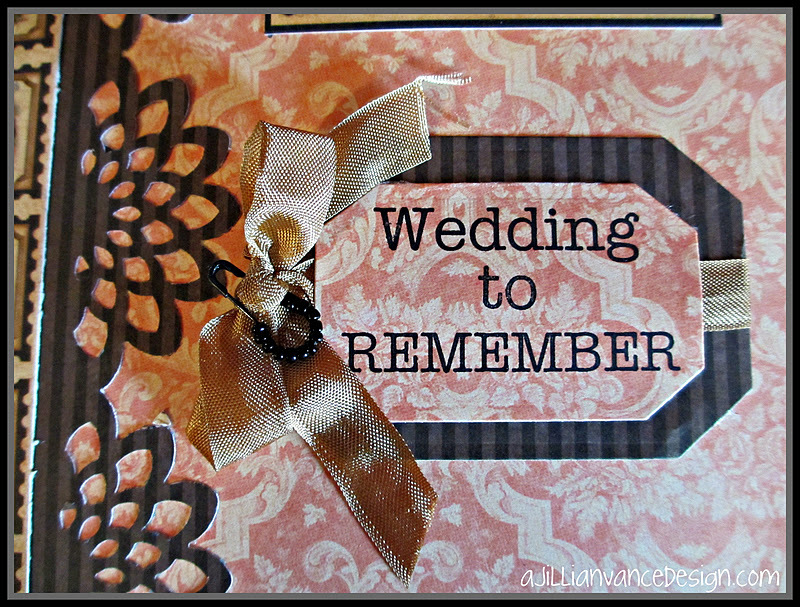 Here is another journal using Graphic 45 paper! At summer CHA I was looking at their booth which was so totally cool I just can't describe it, like a little cottage! They gave me a package of paper, just for looking around!! So I put it in my "good" paper box and haven't really used it until this special occasion. 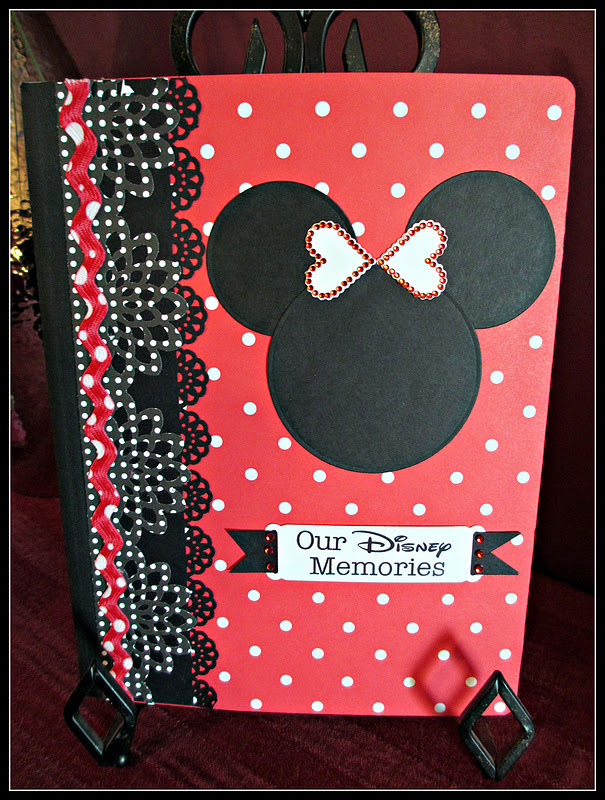 This notebook as well as my Disney one (I will make another one for our family) will be auctioned off at the CHA Member dinner on January 31st. 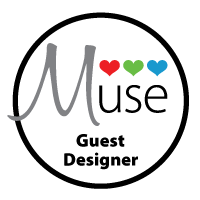 We are honored they asked us for something to raise money for their Charities of Choice. Also shown is a altered journal for my nephew's family to take on their three week track from Ohio to Utah! I used Type Star Font for this album's charm using their last name initial and pinned it on with a Pear Pin!